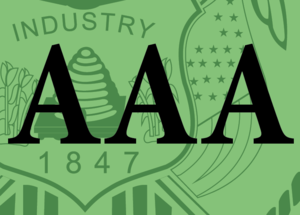 Norwalk Mayor Harry Rilling announced today that the City of Norwalk received confirmation that the three major rating agencies, Moody’s Investors Service, S&P Global Ratings, and Fitch Ratings each have reaffirmed the city’s “triple A” bond rating with a stable outlook. market when the city issues bonds to finance capital projects. As a result of this top credit rating, the city will save more than $600,000 in interest expense, compared to the rates that the city would achieve if it held a lower “double A” rating. The rating reports issued by the three credit rating agencies present a thorough, objective, and independent analysis of the city’s financial operations and credit strength.